The Centre for Crime and Justice Studies and The Monitoring Group are holding a unique two-day conference on Friday 6 and Saturday 7 February. The conference will seek common ground, between families, community workers, journalists, academics, lawyers and affected communities, to understand and challenge the problem of police corruption, spying and racism. The Centre for Crime and Justice Studies and The Monitoring Group, in partnership with Imran Khan Partners and Tottenham Rights, are organising a two-day conference to seek common ground between families, community workers, journalists, academics, lawyers and affected communities, to understand and challenge the problem of police corruption, spying and racism. Online registration closed at Noon on Thursday 5 February. After this time you will need to register and pay on the day. £100 private or public sector. 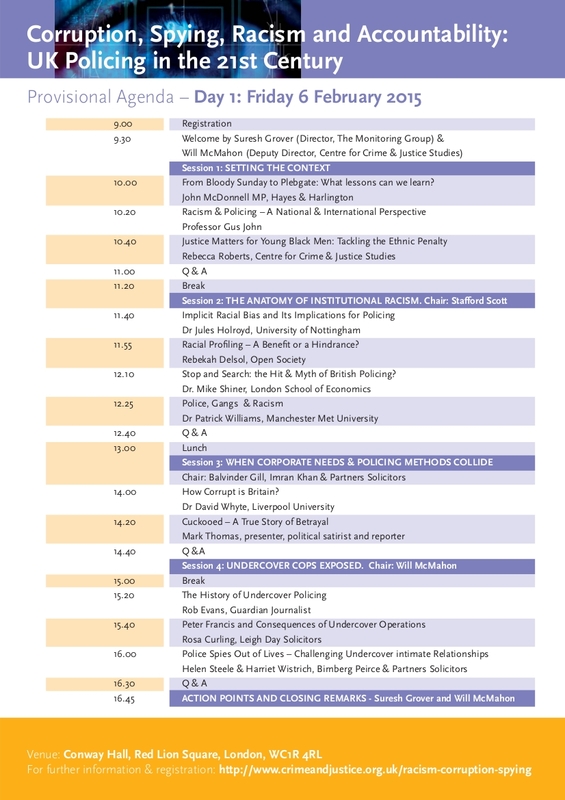 This conference is co-organised by The Monitoring Group and the Centre for Crime and Justice Studies and is part of a series of events titled The State of the Nation – Racism and Justice in the UK coordinated by The Monitoring Group. 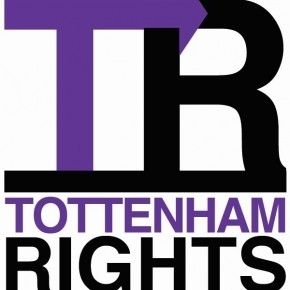 It is supported by Imran Khan and Partners and Tottenham Rights.